I was pleased to hear from the Environment Agency about the clearance work which is planned for the tributary in Puckeridge. This work is going to happen in stages with the first section, which will look at clearing the two highway culverts, due to take place this week. Organising this has been slightly more prolonged because the tributary is situated within a Roman town settlement as designated by the English Heritage and permission has had to be sought before some of the work could commence. All being well the channel work can be completed by the end of this month once formal permission from English Heritage has been received. I realise that constituents have felt frustrated that it has not been able to organise this work sooner, but I am glad to hear that it should be completed by the end of October. 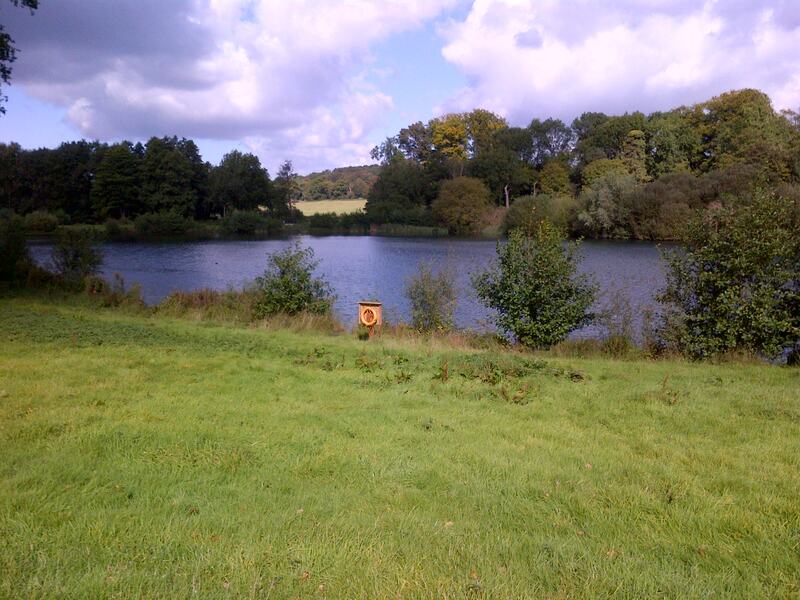 It was great this week to visit Panshanger Park to see the new walks and River Mimram improvements. It is an ideal environment for a range of flora and fauna. Chalk streams are rare – there are only about 35 such river systems in the World – so their plants and wildlife are special too. I hope the rest of the park will open soon. Here are two pictures showing the Mimram in full flow and a lake which it feeds. I hope the Mimram will soon flow as well further up towards Welwyn Garden City following the decisions to cut back abstraction on the Mimram and the Beane. It is alarming that there have been reports in the press recently that this summer we should expect the worst drought since 1976. We have certainly experienced a very dry winter  with some parts of Eastern England receiving as little rain as the Sahara Desert in Africa. It is essential that we start to make alternative plans to ensure there is sufficient water in the East of England. Traditionally the east of the country is drier than the west of England and I think the time has come for water companies to create some form of water grid so that the East of England is adequately provided for. Equally, if there are to be any new developments in our area, it is essential that there is an ample supply of water to service new households too. I am already receiving reports from Friends of the Mimram and the Beane Restoration Association of very dry conditions. One Mimram supporter tells me: “I have been regularly doing visual checks of the River Mimram at various locations for about three months. I thought you should know that at the moment there is a small flow in the section of the River Mimram below Tewin, but week upon week it has been showing progressive reduction. Also because the water depths and widths in this part have, to some extent, been maintained by the presence of some shallow historical weirs, the true low flow situation may not be immediately apparent to casual viewers. Therefore when the drought really bites the change in conditions could cause some shocks when people suddenly realise their river has ‘gone’ and assume it has ‘disappeared overnight’. I am keeping in touch with the Environment Agency and hope our SSSIs at Ashwell (Upper Rhee River) and Tewinbury (Mimram) can be protected. As readers will know, I am a strong supporter of WWF’s campaign to improve the quality of our rivers. NE Herts constituency has seven chalk streams including the Beane and the Mimram which are featured in the WWF literature. Both have seen very low levels and periods of dryness leading to loss of flora and fauna. Ministers and Shadow Ministers have visited our rivers and I initiated a debate and motion in the House of Commons calling for action. Over 100 MPs supported me. I am pleased to see that the Water White Paper published in December, seeks to address the over-abstraction of rivers. It also provides guidance for water companies so that they can make long term plans for water abstraction whilst working on reducing demand too. Interestingly, the White Paper indicates that government will make payments to reduce historically high water bills in the South West of England. Equally the Paper encourages water companies to introduce social tariffs for vulnerable customers too. This White Paper and the one published earlier on in 2011 are the precursors to a Water Bill which is due to be released for scrutiny this year. 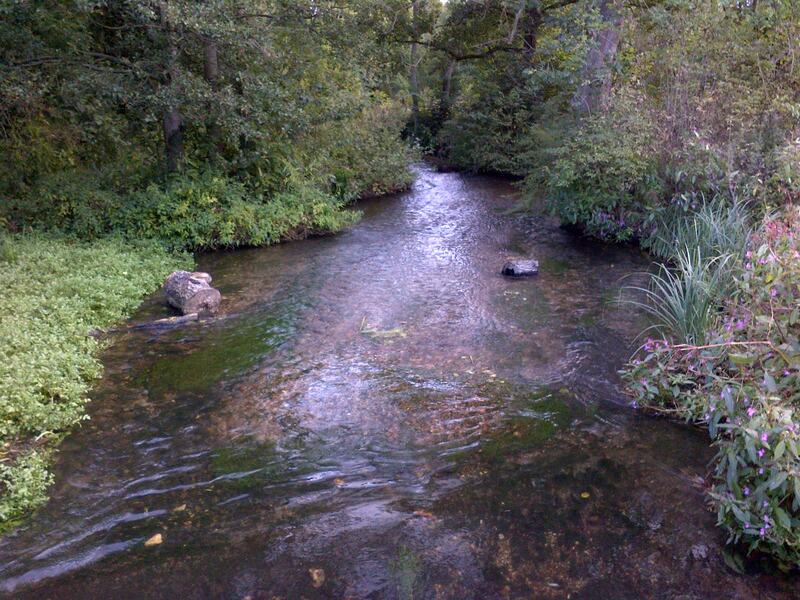 Given my interest in the protection of Hertfordshire’s chalk streams, I particularly welcome the proposals in both White Papers which address the issue of over-abstracted rivers. This is some good news at last. Last week I attended a breakfast meeting with local businessmen and women and was interested at their reaction to the Budget, which they thought to be fair and decisive. There was a feeling that British business will rise to the challenge if given the opportunity, with lower taxes and less regulation. There was a recognition that we could not go on with a deficit which was higher than Greece’s without running the risk that interest rates would rise to unacceptable levels. Earlier last week, I renewed my call in Parliament for action to improve river quality, particularly in our chalk streams, tabled Questions about the review of public sector pensions and took part in the debate on global poverty. I was particularly delighted to see Stephen McPartland, MP for Stevenage, make his Maiden Speech. He was witty, described his Constituency well and made some important points about the role of GlaxoSmithKline as a major employer in his Constituency. On Friday afternoon, I went to see the sports at Icknield Walk School in Royston, and presented the Cup to the winning team for School Sport Week, sponsored by Lloyd’s TSB. I always enjoy school events. It is good to see how enthusiastic and well-behaved our youngsters are. You are currently browsing the archives for the Chalk Rivers category.